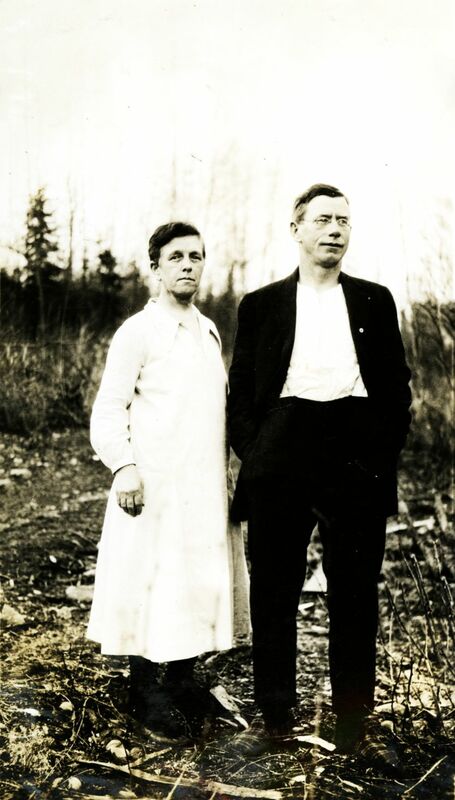 Photograph depicts a man and a woman standing side by side there is newly cleared land in the foreground and background. Handwritten annotation below photograph reads, "Mr. & Mrs.". Arrangement reflects original album order.